Post Office - When writing home or receiving mail from Canada, Canadian postage may be used. Mail originating from Grostenquin for other European countries must have French postage. A Canadian Field Post Office has been established at the Wing where it is possible to buy stamps, register letters for transmission to Canada, and but Canadian Post Office Money Orders. Special postage rates are granted on mail originated by and for military personnel. Ordinary mail rates apply to mail addressed to dependents. Complete information is available at the Station Post Office. 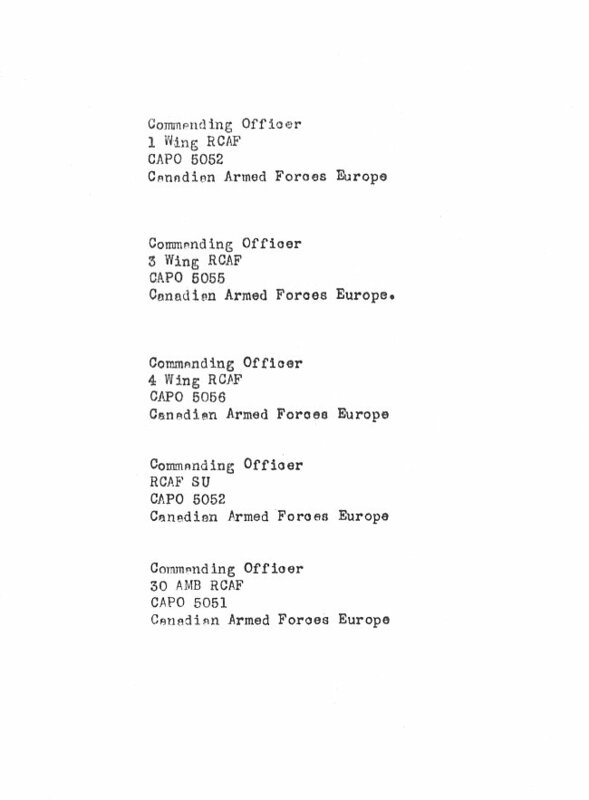 Extracts from 2 Wing Historical Reports pertaining to the Post Office. Official mailing addresses - 1963. 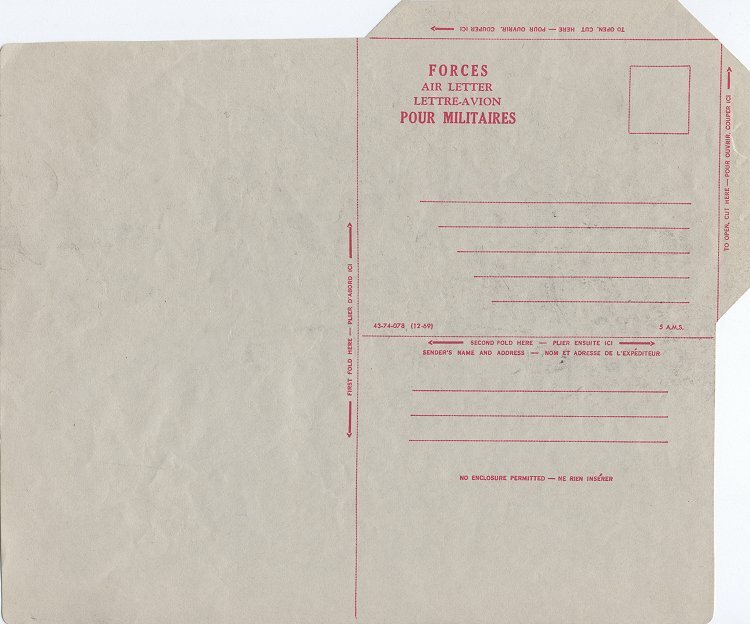 Forces Air Letter - 1960. Library - An excellent and growing library with approximately 4,000 books operates for the reading pleasure of servicemen and their dependents. Each month the library receives over 30 new books plus more than 50 magazines and periodicals. QR (Air), AFAOs, DROs, encyclopedias and other texts are maintained for reference. The trade advancement center and Education services are located in the library building. Extracts from 2 Wing Historical Reports pertaining to the Library. Wing Education - The Wing Education services office is located in the library building. 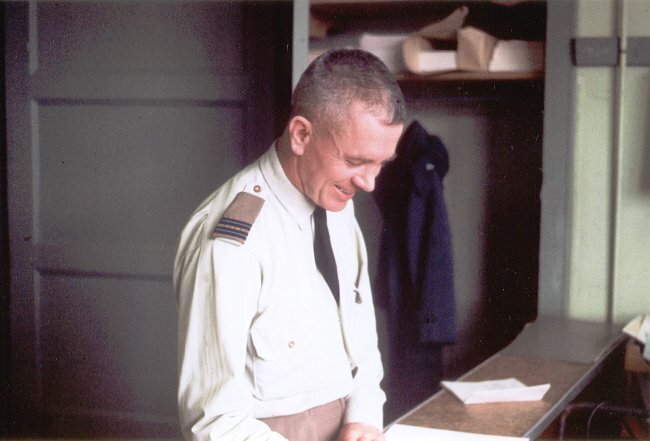 F/L Walker was the Wing Education Officer - June 1962. 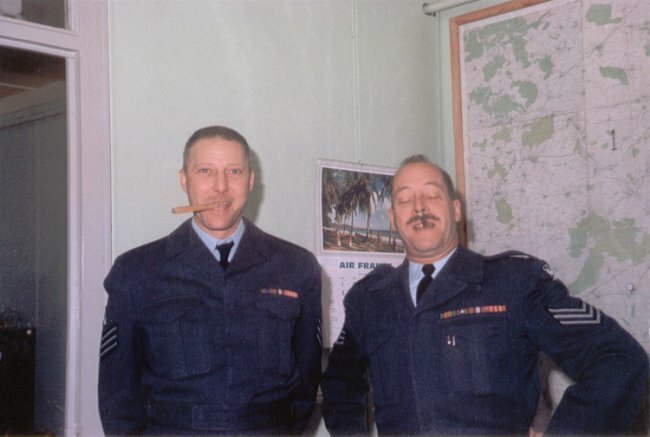 FS O'Hearne and Sgt Yvon Roy with their educated "cigars" - April 1962.